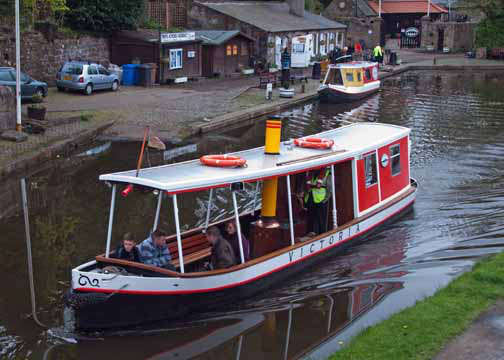 These short boat trips aboard Victoria enable you to view Linlithgow from the canal, each trip taking about 25 minutes. 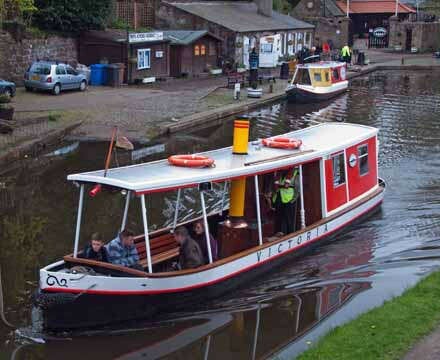 Weekends: Every Saturday and Sunday between Saturday 6th April till 29th September 2019, leaving the canal basin approximately every half hour from 1:30 pm until 4.30 pm. Weekdays – From 1st July ‘till 16th August 2019, leaving the canal basin approximately every half hour from 1:30 pm until 4 pm. Prices: Adult £5.00, Concession £4.00, Child (aged 5 to 16) £3.00 (No booking required). Gift Vouchers: If you are thinking of a novel present for Christmas, a birthday, an anniversary or any other occasion, LUCS can provide gift vouchers for the Town Boat Trip. The gift voucher can also be used for the Aqueduct Cruise, the hire of Victoria or St Magdalene with a driver and crew and the hire of the self-drive boat, Leamington. To make an enquiry please contact LUCS at – bookings@lucs.org.uk.